New McLaren 600LT. McLaren Glasgow and McLaren Leeds. The fastest, most powerful and most extreme Sports Series – introducing the McLaren 600LT. With raw and unrelenting performance, the latest McLaren ‘Longtail’ sets benchmark for sports cars. With a focus on pure driving exhilaration, the 600LT has pushed boundaries to become the benchmark for all sports cars. Taking inspiration from the iconic McLaren 675LT and its racing predecessor, the 600LT is the most extreme model of the McLaren Sports Series. The 600LT features a top-exit exhaust that sits directly behind the driver’s shoulder, bringing the incredible sounds of the powertrain into the cabin. The uncompromising appearance of the McLaren 600LT reflects its track-focused intent. Its body control, low-speed agility and high-speed stability are enhanced significantly due to it sitting 8mm lower to the ground than previous longtails. Inconspicuous carbon fibre Aero Winglets situated behind the front wheels work together with the carbon fibre side skirts running down each of the flanks to enhance performance and agility. Intensive engineering has reinforced the 600LT’s aerodynamic efficiency. The shrink-wrapped design directs airflow over every panel and through unique flying buttresses which allows the flow of cool, clean air to improve the powertrain heat management. Floating cantrails increase downforce by 8kg without compromising on drag levels. With the 600LT, aesthetics and aerodynamics share a symbiotic relationship. The new addition to the LT Family retains the physical traits of a true McLaren ‘Longtail’, including a silhouette extended by 74mm. It also features new carbon fibre bodywork, has an extended front splitter, lengthened rear diffuser and fixed rear wing. This delivers substantially increased downforce – 100kg at 250km/h (155mph) – especially on the track. New carbon bodywork has been used in addition to the unique MonoCell II chassis to create the McLaren 600LT.Track focused features include the carbon fibre Racing Seats, first seen on the McLaren P1™. Super-Lightweight Carbon Fibre Racing Seats developed for the McLaren Senna are an option for those who wish to make it lighter still. To reduce weight further, Alcantara® has been utilised throughout the 600LT’s cabin. With every lightweight option fitted, the lightest dry weight of the McLaren 600LT is an incredible 1,247kg, with a power-to-weight ratio of 481PS/tonne. The McLaren 600LT is powered by a twin-charged, 3.8-litre V8 engine capable of 600PS (592bhp) with a maximum torque of 620Nm (457lb ft). The engine features dry sump lubrication to allow high cornering speeds without an oil surge. The V8 engine can be mounted as low as possible to improve agility thanks to a race-inspired flat-plane crankshaft. The 600LT-specific launch-control function delivers unprecedented straight-line performance: acceleration from 0-100km/h (0-62mph) is delivered in just 2.9 seconds. The dual-clutch, seamless-shift seven-speed gearbox delivers power from the mid-mounted engine to the rear wheels. Adopting racing technology from both the McLaren 675LT and Formula 1 models, the 600T uses Ignition Cut in Sports mode. A transitory cut of the ignition spark during a gear change creates a faster change and each upshift or downshift is accompanied by a dramatic aural ‘crack’. In Track mode, the Inertia Push technology makes for more optimal gearshift performance. The 600LT features the lightweight suspension and braking system found in the McLaren 720S, as well as the track-focused Pirelli P Zero Trofeo R tyres. It also introduces significantly firmer engine mounts and quicker steering in an effort to engage and excite the driver to the highest levels imaginable. Brace yourself behind the wheel for the pure exhilaration of performance driving. 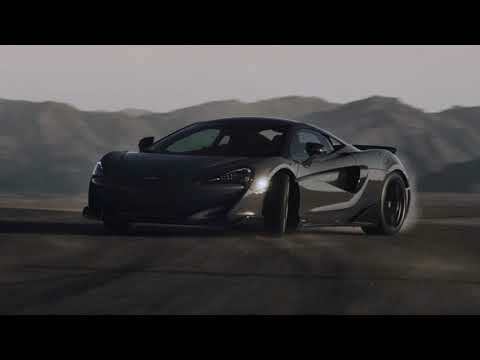 The 600LT upholds the legendary agility and nimbleness of the Sports Series, but has the added heightened track-focused abilities and pure driver connection of an LT. The McLaren 600LT exists to engage and excite drivers to the highest levels imaginable and to deliver unparalleled feedback. It is for drivers ready to push themselves to the very edge of their limits. To drive the 600LT is to understand this feeling.